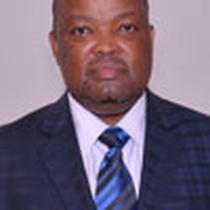 The Portfolio Committee learnt that the Department of Trade and Industry (DTI) was strongly involved in support of the agro-processing cluster to promote growth in the sector, but needed more support from other government departments such as the Department of Agriculture, Forestry and Fisheries (DAFF), as well as National Treasury. A relationship did exist between various departments, but more interaction had to take place. The DTI assisted in promoting black economic empowerment (BEE), but had mainly supported already established companies. Members said they were proud of the women who were in leadership positions in the DTI. The President had highlighted that agriculture as a sector had the potential of growing the economy and creating employment. The Committee had visited a few companies in Gauteng and found that most of them employed foreigners, and they were abused. Why were South Africans not being employed? As much as the DTI was pushing for BEE, some co-operatives involved in the programmes were owned by white people, and strong monitoring needed to be done on this. The Committee was pleased with the DAFF’s submission to the State of Nation Address (SONA). However, they said that the Department had a lot of work that still needed to be done, and they should have more realistic targets. Most of the projects that were being implemented by the Department generated employment. Inter-governmental relationships existed, but needed to be strengthened. The Committee was informed that the agricultural sector contributed to 2% of the country’s gross domestic product. The Committee’s draft report on its oversight visit to the Free State was adopted without amendment. Ms Malebo Mabitje-Thompson, Deputy Director General (DDG): Incentive Development and Administration Division, Department of Trade and Industry (DTI), said the DTI focused mainly on growing the manufacturing sector, job creation and promoting industrial development. Wages and salaries within the sector were generally high and were sustainable. The Department supported artists and had an international relations mandate as far as trade was concerned, and trade agreements were established to help South Africa grow. Her sector, the Incentive Development and Administration Division (IDAD), supported the agro-processing unit, and supported the call made by the President to increase productivity and employment. There were five main clusters from the IDAD programme. These were broadening participation, manufacturing investment, services investment, competitiveness investment and infrastructure investment support. Across all the clusters, agro-processing was supported massively through the companies involved. In agro-processing, 376 incentive approvals had taken place and had a projected investment value of R2.6 billion. The projects would be supporting about 4 080 new jobs and 4 641 retained jobs. Of the 324 SMMEs and 20 black industrialists supported, 86% meet the requirements of level 1-4 broad-based black economic empowerment (B-BBEE) compliance,. The Black Industrialists Scheme (BIS) was set up in 2016 to create entrepreneurs and manage their own production facilities. There was a current target of about 200 industrialists. Provinces that have benefited from the programme include the Eastern Cape, Free State, Gauteng, Kwazulu-Natal, Limpopo, Mpumalanga and Western Cape. She gave an example of Dursots, a company that was involved in canning in Limpopo, where 40 new farmers were supported to farm and can tomatoes. Another example was Maneli Pets, which exports pet food to the European Union and the United States of America. With the agro-processing support scheme approvals, there were certain standards that had to be met. There must be increased capacity, the creation of employment, modernised machinery and equipment, and competitiveness, just to mention a few. The focus was on food and beverages, furniture manufacturing, fibre processing, feed production and fertiliser production. All provinces had benefited from the programme. B-BBEE compliance was mandatory for one to qualify. She gave an example of the Vuma Rural Development Primary Co-operative, which was compliant and projected to employ 47 new people. Through the export marketing and investment scheme agro-processing approvals, 198 female-owned SMMEs and 153 black-owned SMME’s were supported. Inputs had to be sourced from local producers. She said that the DTI worked with the Department of Agriculture, Forestry and Fisheries (DAFF) and National Treasury (NT). They had worked with the DAFF on the Emerging Black Farmer programme. Mr Mike Mlengana, Director General (DG), DAFF, said the relationship between the DAFF and the DTI needed to be continuously maintained. Farmers that were growing from subsistence farming to high-end commercial farming needed to be supported through the programme. Ms M Chueu (ANC) welcomed the presentation and was happy that the DTI had women in positions of leadership. It was the responsibility of the DDG to support women through empowerment. Money needed to be allocated to support women. There were many women who were hawkers who needed to be supported financially. The Departments needed to know what farms were owned by women and required assistance. Mr A Madella (ANC) asked why there was no indication of assistance for disabled people. This had to be addressed. The programme seemed to be helping already existing businesses -- why not also focus on new businesses? Historically disadvantaged communities had to be targeted for assistance. Mr H Kruger (DA) said that a lot of money was spent on programmes Mpumalanga, but there was no trace of where the funds were being spent. There was construction taking place in the area, but this was currently idle. Ms A Steyn (DA) said more clarity must be given on the relationship between the DAFF and the DTI, especially in respect of funding. Outside of government, what other partners existed? She asked if the DTI had funding for 2019. The Chairperson said she was proud of the women who were in leadership positions in the DTI. The President had highlighted that agriculture as a sector had the potential of growing the economy and creating employment. The Committee had visited a few companies in Gauteng and found that most of them employed foreigners, and they were abused. Why were South Africans not being employed? As much as the DTI was pushing for black economic empowerment (BEE), some co-operatives involved in the programmes were owned by white people, and strong monitoring needed to be done on this. She said that the DTI had a budget of R7 billion, but allocated only R800 million to agriculture. More support must be given to the agricultural sector. The co-ordination between the DAFF and the DTI would bring about more tangible changes. Ms Mabitje-Thompson said that collaboration between the DTI and the DAFF to support black farmers was already taking place. The relationship would continue to be strengthened. The DTI had a monitoring function in place to ensure that what was agreed upon with various stakeholders was what was delivered. The role of unregistered foreign nationals was also something that the Department was taking seriously by ensuring that the partners that were funded complied with the law. The DTI did not do equity funding. They could not move funds from one hand to another without adding value to the economy. However, they understood its place in transformation, such as moving funds from a white farmer to a black farmer. Regarding the funds allocated towards agro-processing compared to other manufacturing sectors, machinery in agro-processing was affordable. The DTI did not get new funding to support agro-processing, but re-prioritised its funds towards agro-processing. The DTI did support initiatives supporting emerging farmers. It was working on improving its processes to ensure that when business plans were submitted requesting funding, it should be easier and more accessible. The DTI did not see companies with people with disabilities. The DTI needed help to find out which organisations were owned by disabled people. A DTI delegate said the Department did cover projects that were driven by women. Some of the projects included chicken projects, food and beverages and maize meal, through the agro-processing scheme. A projected R241 million had been spent on this and 359 jobs had been created. Agro-processing was strongly driven by the BEE process and the DTI was always working on refining this. Emerging black farmers were targeted to be assisted when it came to funding, with a 51% ownership compliance requirement. Some of the things covered include vehicles, equipment, land and buildings, and commercial equipment such as technology. The DTI was also involved in monitoring and evaluation, where they get feedback from grant holders. The DDG said that private sector collaboration agreements existed, and they also engaged with commercial banks on some projects. They hoped to attract investment from people who were disabled and help the agro-processing sector to grow. 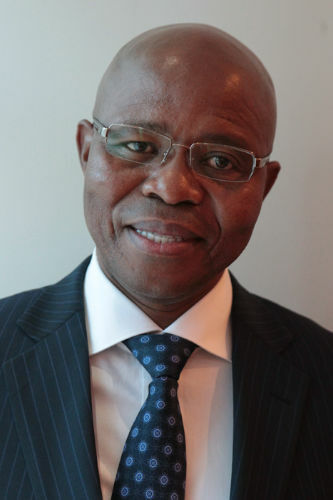 Mr Mlengana said that the strategy and structure in some of the projects were misaligned. Agro-processing had no place in the DTI. Anything that dealt with agriculture must be dealt with by the DAFF. He needed support in some areas to help with ensuring that the necessary growth and development takes place. Ms Chueu said that the DAFF should not wait for people to come to them for funding. The Department should go out and fund them. There were a lot of women involved in sugar cane production and needed production support through funding. Importation of equipment for farming should not take place, as the country had enough capacity to develop its own equipment. The shoe industry needed to be supported. Mr Kruger said that there were too many government departments doing the same thing. Overlapping was taking place. Scams were taking place as people applied for funding from various departments with the same business plan. Ms Steyn said that the DAFF must ensure that it pulled its weight to ensure that some of its projects were not taken over by other departments. She asked what the success rate was for some of the projects that had been undertaken. The Chairperson said the DTI and the DAFF needed to work closely on agro-processing. The public at large was waiting for assistance and did not wait for the government to deal with its internal processes of inter-departmental conflict. There was a possibility of growth within the fisheries sector and support must be given to such initiatives. The poultry sector needed to be revived. Mr Sfiso Buthelezi: Deputy Minister: DAFF, said he accepted the notion of having gender equality within the government departments. There was no doubt in government departments that were involved in agriculture, that they wanted the sector to grow. Inter-departmental auditing of projects needed to take place. Ms Mabitje-Thompson said that when given the opportunity, they would like to present to the Committee on some other projects they were involved in that had a high success rate. She said that where work was co-ordinated, the best impact and results must be achieved. Mr Mlengana said that some of the farmers need to be invited to the Committee at some point to present on some of their experiences. The DAFF had a mandate to meet the National Development Plan (NDP) Vision 2030 through Chapter 6 -- an integrated and inclusive rural economy. Some of the clauses included increasing jobs, growing the rural economy and supporting land reform. Support had to be given to small scale farmers to secure land tenure. He said that agriculture contributed to 2% of the gross domestic product (GDP). Gross farming income had increased by 2.1% and was estimated at R273.544 billion for the financial year ended 30 June 2018. The annual increase in agricultural employment in the second quarter of this year was 843 000 jobs. Agricultural exports had increased by 7.3%. Imports had decreased by 5.2%. Investment in agriculture had increased by 15.5%, and was estimated at R13.5 billion. Since the inception of the Oceans Economy Operation Phakisa programme in 2014, 35 projects had been registered and eight Aquaculture Development Zones (ADZs) had been established throughout the country. In 2018, 4 000 tons of fish were farmed by the 35 projects, and the total employment was 1 943. He highlighted that through the Marine Living Resources Fund, 10 000 individual traditional fishers had been recognised, over 200 communities would have access to marine resources legally, and the government had allocated the first 15-year fishing rights to Port Nolloth and Hondeklipbaai in the Northern Cape Province, where 103 small-scale fishers have been assisted. The DAFF works closely with the Department of Police to help in protecting against all forms of violence against farming and rural communities. The key and upcoming programmes or projects for the remaining term of the current administration would see the DAFF continue to focus on poultry and red meat, fruit, wine and vegetables, transforming the agricultural labour market, providing producer support and development, and implementing sustainable land reform. In aquaculture, the focus would be on the finalisation of the Aquaculture Development Bill. He said that the DAFF had been crippled, but it was working on its flaws. The Department would continuously work hard until the customer said that they were doing a good job. Ms Steyn said that it was difficult to give any form of feedback until the people on the ground reported back on what was working and what was not working. She would note the report and would do an oversight exercise during the holiday break. The DAFF had to keep an eye on the drought side of agriculture, as most provinces had not yet received sufficient water. Mr P Maloyi (ANC) said that the SONA address was embargoed until it was presented by the President. If this information was made available before the address, people might find themselves no longer interested in the speech. He said that the DAFF should highlight incapacitated projects to the President so that he could give directives to members of the Executive to take action. 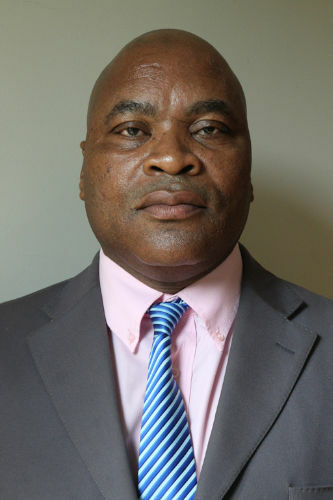 Mr N Capa (ANC) said that any proposals to be made were meant to improve current structures. What would make the necessary changes happen? It must not look like a routine practice. Mr Madella said that sharing of the SONA inputs with the public was not commendable. This exercise should have taken place post-SONA. The Chairperson said she had been the one who had invited the DAFF to come and present the SONA inputs to the Committee. The DG said that he had presented only what was already known by the Committee. In future, it would be good to have SONA inputs first raised through the Committee before documents were submitted. The DAFF did not have enough capacity to engage with some of the administrative issues. It was difficult to tell the impact of SONA inputs, and how they impacted the people on the ground. There should be a structure to also brief communities, and not just brief the government. A vision for the community was what was needed, to ensure that people see the vision at the same level. The Chairperson said that the President should pronounce on those projects that had a budget, and not every project, including those without a budget. The Chairperson went through the report page by page. Ms Steyn asked whether on page 18 of the report, it was not worthwhile to mention something about the solar plant test done by Eskom so that a follow up could be done on this at a later date. The Chairperson said that the solar suggestion did not have to be put into the report. This follow up could be done separately. Mr Kruger said that it should be put in as part of the recommendations. Mr Maloyi said that it was a project in its pilot phase, and could not be recommended. It should be left as it was. Once it was successful, then something could be recommended. Ms Steyn moved the adoption of the report, and Mr Caba seconded.